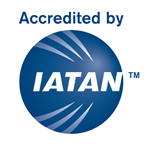 In addition to being accredited by IATAN, I regularly continue my education through trainings and certifications. Below are just a few of my current certifications. New ones are being added regularly.